This estate is in walking distance to Ormeau Woods State School, a short drive to the new Westfield Coomera Town Centre and an easy commute to Brisbane in the North and the Gold Coast in the South. A PART OF AUSTRALIA’S SIXTH LARGEST CITY. 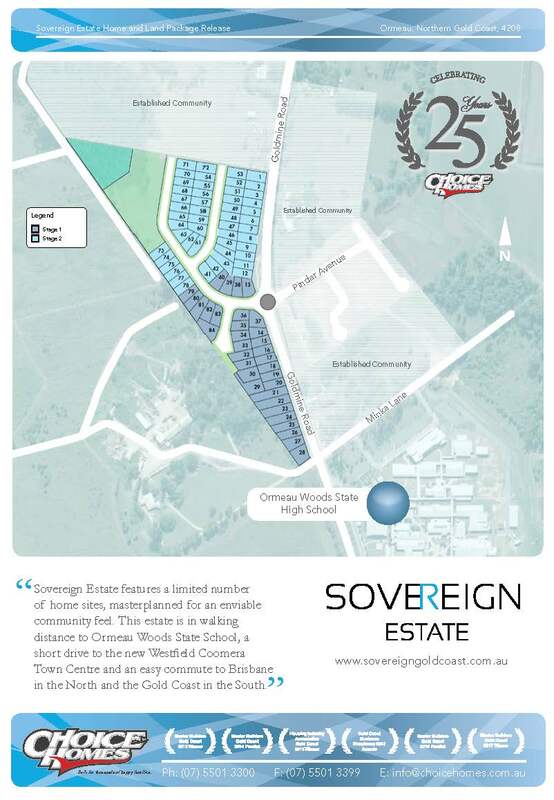 Sovereign Estate is part of Australia’s sixth largest city, the Gold Coast. Over the next decade it will transform into a globally recognised city while retaining its enviable lifestyle and stunning natural environment. More than $30 billion in major infrastructure and development projects are currently planned or underway. The Gold Coast’s population of 590,000 people is expected to continue to grow at 3.5 per cent per annum for the next 20 years to reach 1.1 million by 2034. House prices are trending upwards, driving solid, sustainable capital growth for property owners. A recent report released by QBE predicts that the median price is expected to rise by 6% by 2020, to a record $665,000. The Gold Coast economy, which produces a Gross Regional Product of $31.56 billion each year, is driven by the tourism and construction industries. The city welcomes close to 12 million visitors per year, making it one of Australia’s leading tourist destinations. The strip from Surfers Paradise to Broadbeach is one of the country’s favourite getaway spots. Numerous projects are currently underway on the Gold Coast, including several residential developments, as well as the $37 million first stage of the Cultural Precinct, the $600 million Stage 3 of the Light Rail, a $2 billion million M1 upgrade, and the $1 billion Coomera Town Centre shopping centre. On a cultural front, the $365 million Gold Coast Cultural Precinct is fast becoming a reality with the builders behind Hobart’s critically acclaimed MONA awarded the contract for the precinct’s $60 million art gallery. 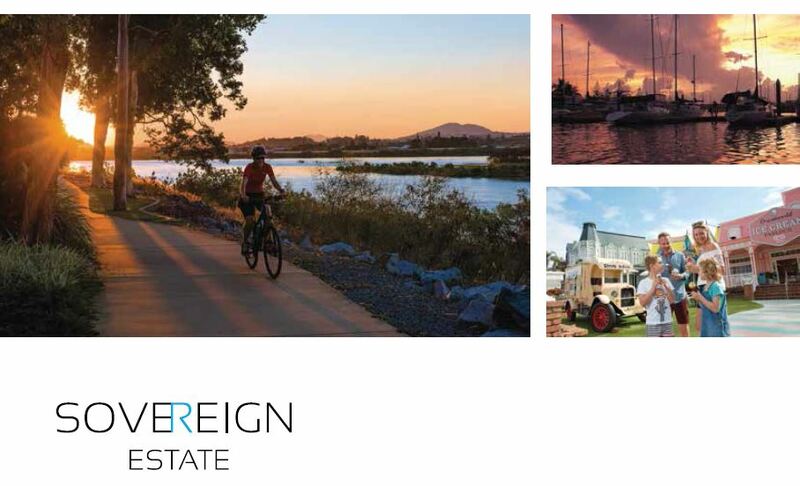 Sovereign Estate will benefit from the city’s growth, now and well into the future.